From the bestselling author of A Mountain of Crumbs, a вЂњbrilliant and illuminatingвЂќ (BookPage) portrait of mothers and daughters that reaches from Cold War Russia to modern-day New Jersey to show how the ties that hold you back can also teach you how to start over. Elena Gorokhova moves to the US in her twenties to join her American husband and to break away from her mother, a mirror image of her Soviet Motherland: overbearing, protective, and difficult to leave. Before the birth of ElenaвЂ™s daughter, her mother comes to help care for the baby and stays for twenty-four years, ordering everyone to eat soup and wear a hat, just as she did in Leningrad. 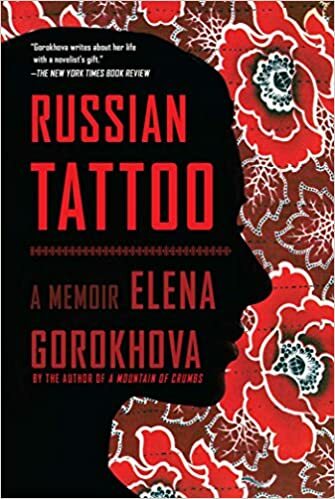 Russian Tattoo is the story of a unique balancing act and a family struggle: three generations of strong women with very different cultural values, all living under the same roof and battling for control. As Elena strives to bridge the gap between the cultures of her past and present and find her place in a new world, she comes to love the fierce resilience of her Soviet mother when she recognizes it in her American daughter. вЂњGorokhova writes about her life with a novelistвЂ™s gift,вЂќ says The New York Times, and her second memoir is filled with empathy, insight, and humor. ready to file the meaning into a compartment of his scientific brain. If I could recite the definition of toska, in English or Russian, there would probably be no Chekhov or The Three Sisters, or the entire pantheon of Russian literature Robert is so keen on deciphering. It is a paradox, really: for him to understand Russian literature, he needs to know the definition of toska, while it is precisely trying to shoehorn toska into a definition that guarantees the failure of that understanding.